Many of the key players in regulating apoptosis were discovered in C. elegans. This tiny roundworm has more than 19,000 genes, and a vast number of them are very similar to genes in other organisms, including people. Credit: Ewa M. Davison. Our cells come equipped with a self-destruct mechanism that’s activated during apoptosis, a carefully controlled process by which the body rids itself of unneeded or potentially harmful cells. Scientists have long known that a protein called PSR-1 helps clean up the cellular remains. Now they’ve found that PSR-1 also can repair broken nerve fibers. 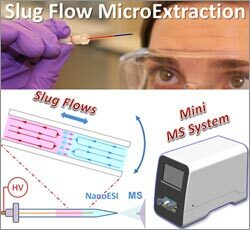 Researchers have discovered a faster, easier and more affordable technique for processing biological samples. Credit: Weldon School of Biomedical Engineering, Purdue University. This time of year, lights brighten our homes and add sparkle to our holidays. Year-round, scientists funded by the National Institutes of Health use light to illuminate important biological processes, from the inner workings of cells to the complex activity of the brain. Here’s a look at just a few of the ways new light-based tools have deepened our understanding of living systems and set the stage for future medical advances. 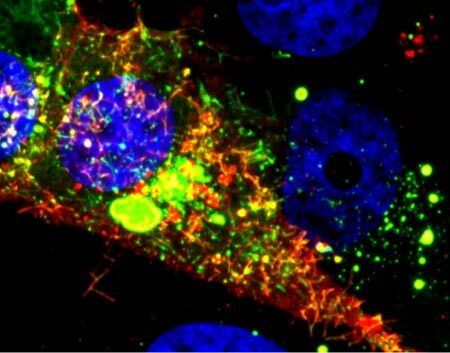 A new fluorescent probe shows viral RNA (red) in an RSV-infected cell. Credit: Eric Alonas and Philip Santangelo, Georgia Institute of Technology and Emory University. What looks like a colorful pattern produced as light enters a kaleidoscope is an image of a cell infected with respiratory syncytial virus (RSV) lit up by a new fluorescent probe called MTRIPS (multiply labeled tetravalent RNA imaging probes). Although relatively harmless in most children, RSV can lead to bronchitis and pneumonia in others. Philip Santangelo of the Georgia Institute of Technology and Emory University, along with colleagues nationwide, used MTRIPS to gain a closer look at the life cycle of this virus. Cells are the basic unit of life—and the focus of much scientific study and classroom learning. Here are just a few of their fascinating facets. Developing nerve cells, with the nuclei shown in yellow. Credit: Torsten Wittmann, University of California, San Francisco. That’s how many years ago scientists believe the first known cells originated on Earth. These were prokaryotes, single-celled organisms that do not have a nucleus or other internal structures called organelles. Bacteria are prokaryotes, while human cells are eukaryotes. This is the diameter in centimeters of most animal cells, making them invisible to the naked eye. There are some exceptions, such as nerve cells that can stretch from our hips to our toes, sending electrical signals throughout the body. 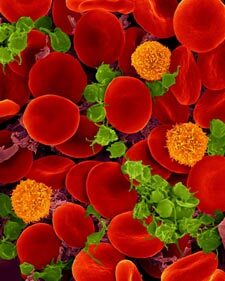 Oxygen-transporting red blood cells. Credit: Dennis Kunkel, Dennis Kunkel Microscopy, Inc. In that year, British scientist Robert Hooke coined the term cell to describe the porous, grid-like structure he saw when viewing a thin slice of cork under a microscope. Today, scientists study cells using a variety of high-tech imaging equipment as well as rainbow-colored dyes and a green fluorescent protein derived from jellyfish. That’s how many different types of cells are in the human body, including those in our skin, muscles, nerves, intestines, blood and bones. Believe it or not, that’s the approximate number of pounds of bacteria you’re carrying around, depending on your size. Even though bacterial cells greatly outnumber ours, they’re much smaller than our cells and therefore account for less than 3 percent of our body mass. Scientists are learning more about how our body bacteria contribute to our health. A snapshot of a phase of the cell cycle. Credit: Jean Cook and Ted Salmon, UNC School of Medicine. This is the typical length in hours of the animal cell cycle, the time from a cell’s formation to when it splits in two to make more cells. That’s the approximate lifespan in days of a human red blood cell. Other cell types have different lifespans, from a few weeks for some skin cells to as long as the life of the organism for healthy neurons. Each day, approximately this many cells die in the human body as part of a normal process that serves a healthy and protective role. Those that die in the largest numbers are skin cells, blood cells and some cells that line structures like organs and glands. Get stats on what scientists have learned so far about genetics. In these time-lapse videos of 60 images taken over an hour, cell receptors move around the cell surface in search of the missing signal that will tell the cell where to go (top video). Once the receptors locate the signal (bottom video), they stay put in the region of the cell membrane that is closest to the signal. Credit: David Sherwood, Duke University. Even traveling cells need help with directions. In fact, it’s crucial. For processes such as wound healing and organ development to take place, cells must be able to efficiently move throughout organisms. Receptor proteins on a cell’s surface rely on navigational signals from molecules called netrins to point them in the right direction. The receptors don’t just sit around waiting for a signal. Studying the simple worm C. elegans, David Sherwood and his research team at Duke University discovered that in the absence of netrin, the receptors rapidly cluster and reassemble in different areas of the cell’s membrane. When the receptors finally detect a netrin signal, they stabilize and correctly orient the cell. 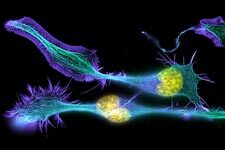 The finding might point to new ways to interfere with cells’ built-in navigation systems to hamper cell migration in metastatic cancer or encourage the regrowth of damaged cells in neurodegenerative diseases such as Parkinson’s. This research was funded in part by NIH under grants R01GM100083 and P40OD010440. Scientists have discovered a possible mechanism behind the bad taste and dry mouth caused by some drugs. Credit: Stock image. The effects some medicines have on our salivary glands can at times extend beyond the fleeting flavor we experience upon ingesting them. Sometimes drugs cause a prolonged bad taste or dryness in the mouth, both of which can discourage people from taking medicines they need. Now, a research team led by Joanne Wang of the University of Washington has discovered a possible mechanism behind this phenomenon. Working primarily with mice and using a commonly prescribed antidiabetic drug known to impair taste, the scientists identified a protein in salivary gland cells that takes up the drug from the bloodstream and secretes it in saliva. Wang and her colleagues were also able to pinpoint a specific gene that, when removed, hindered this process. They hope their new insights will aid efforts to develop medicines that do not cause salivary issues. This work also was funded by NIH’s Eunice Kennedy Shriver National Institute of Child Health and Human Development. The feeding tube, or pharynx, of a planarian worm with cilia shown in red and muscle fibers shown in green. Credit: Carrie Adler/Stowers Institute for Medical Research. 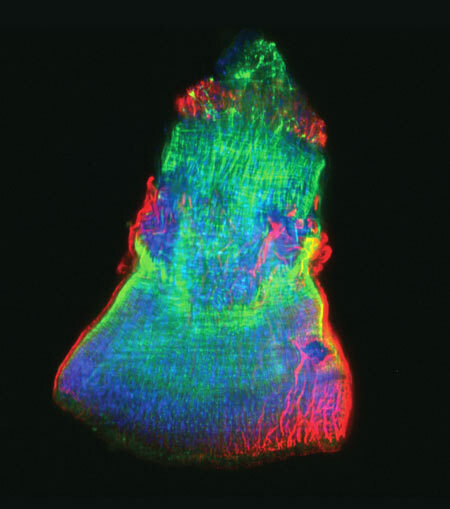 This rainbow-hued image shows the isolated feeding tube, or pharynx, of a tiny freshwater flatworm called a planarian, with the hairlike cilia in red and muscle fibers in green. Scientists use these wondrous worms, which have an almost infinite capacity to regrow all organs, as a simple model system for studying regeneration. A research team led by Alejandro Sánchez Alvarado of the Stowers Institute for Medical Research exploited a method known as selective chemical amputation to remove the pharynx easily and reliably. This allowed the team to conduct a large-scale genetic analysis of how stem cells in a planaria fragment realize what’s missing and then restore it. The researchers initially identified about 350 genes that were activated as a result of amputation. They then suppressed those genes one by one and observed the worms until they pinpointed one gene in particular—a master regulator called FoxA—whose absence completely blocked pharynx regeneration. Scientists believe that researching regeneration in flatworms first is a good way to gain knowledge that could one day be applied to promoting regeneration in mammals. Neurons activated with red or blue light using algae-derived opsins. Credit: Yasunobu Murata/McGovern Institute for Brain Research at MIT. 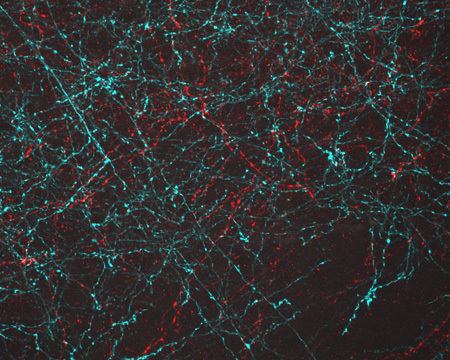 The nerve cells, or neurons, lit up in blue and red in this image of mouse brain tissue are expressing algae-derived, light-sensitive proteins called opsins. To control neurons with light, scientists engineer the cells to produce particular opsins, most of which respond to light in the blue-green range. Then they shine light on the cell to activate it. Now, a team of researchers led by Ed Boyden of the Massachusetts Institute of Technology and Gane Ka-Shu Wong of the University of Alberta has discovered an opsin that responds to red light preferentially, enabling them to manipulate two groups of neurons simultaneously with different colors of light and get a more comprehensive look at how those two sets of brain cells interact. Other opsins have shown potential for vision restoration in animal studies, and, because red light causes less damage to tissue than blue-green light, this new opsin might eventually be used for such treatments in humans. Productive V. cholerae (yellow) and exploitive V. cholerae (red). Credit: Carey Nadell, Princeton University. What looks like an abstract oil painting is actually an image of several cholera-causing V. cholerae bacterial communities. These communities, called biofilms, include productive and exploitive microbial members. The industrious bacteria (yellow) tend to thrive in denser biofilms (top) while moochers (red) thrive in weaker biofilms (bottom). In an effort to understand this phenomenon, Princeton University researchers led by Bonnie Bassler discovered two ways the freeloaders are denied food. They found that some V. cholerae cover themselves with a thick coating to prevent nutritious carbon- and nitrogen-containing molecules from drifting over to the scroungers. In addition, the natural flow of fluids over biofilms can wash away any leftovers. Encouraging such bacterial fairness could boost the efficient breakdown of organic materials into useful products, such as biofuels. On the other hand, counteracting it could lead to better treatment of illnesses, like cholera, by starving the most productive bacteria and thereby weakening the infection. 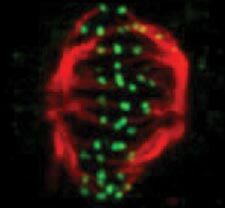 Viral RNA (red) in an RSV-infected cell. Credit: Eric Alonas and Philip Santangelo, Georgia Institute of Technology and Emory University. What looks like a colorful pattern produced as light enters a kaleidoscope is an image of a cell infected with respiratory syncytial virus (RSV) illuminated by a new imaging technology. Although relatively harmless in most children, RSV can lead to bronchitis and pneumonia in others. 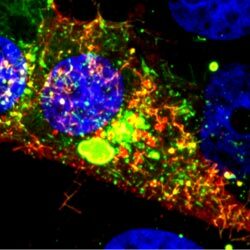 Philip Santangelo of the Georgia Institute of Technology and Emory University, along with colleagues nationwide, used multiply-labeled tetravalent RNA imaging probes (MTRIPS) to observe the entry, assembly and replication of RSV inside a living cell. Once introduced into RSV-plagued cells, the MTRIPS latched onto the viral RNA (in the image, red) without altering the level of infectivity. This led to fluorescent RSV viral particles that let the researchers track the viral RNA in host cells and better understand what the virus was doing. The knowledge gained from this new technique might aid in the development of RSV antiviral drugs and possibly a vaccine. Scientists could also one day use the imaging approach to study other RNA viruses, such as the flu and Ebola.